Persona 5's user interface is so beautiful and distinctive that the internet is now plastering it on nearly everything as a joke. The battle menus in the dungeons have an especially kinetic feel—they pulsate and react to every button you press, giving the player a sense of forward momentum as they beat up demons. It’s such a visually distinct style that plunking it on top of other media is just inherently funny. 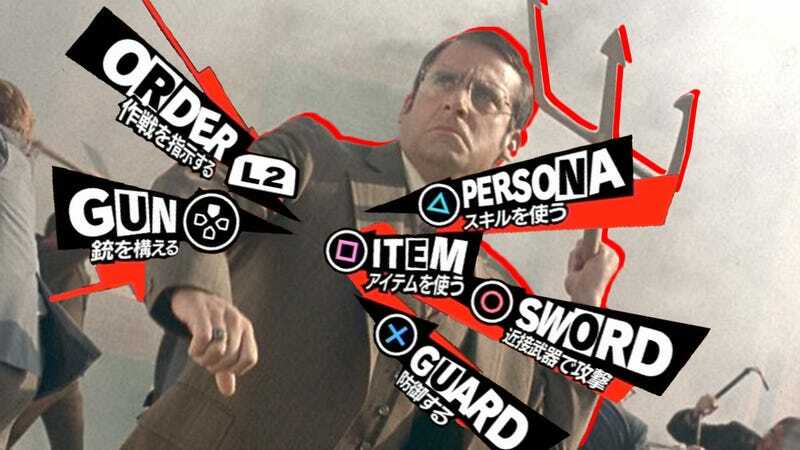 After Twitter user Brent_Bento made a transparent version of the battle menu, there’s been a nonstop stream of new memes made with it. But honestly, this menu works on anything. And I mean anything. Chris Person, video editor for Gizmodo Media Group and voice of Highlight Reel, has been having a lot of fun with this meme. God bless him.